Review: The Last Great Adventure of the PB&J Society! But Annie and Jason are doing a pretty good job, at least until the economic downturn forces Jason’s parents to sell their house and move for work. 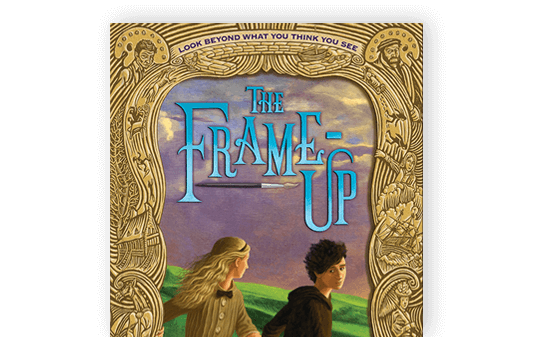 Janet Sumner Johnson’s debut middle grade novel is everything I want in a middle grade novel: it’s sassy, funny, cozy, mysterious, heart-warming, and a little sad. First of all, the cover is killer. Kids will definitely want to see what’s going on inside. From the very first page the reader is completely taken with Annie and her best friend Jason, the two members of the PB&J Society. Navigating family tensions, a new and odd friendship with an old foe, trying to maintain their boy-girl friendship in the face of teasing, and their desire to figure out a way to ensure that the PB&J Society doesn’t have to disband, we root for them every step of the way. What I really love is how real their friendship feels. There are ups and downs and Johnson doesn’t take the easy way out at the end, as some authors might have. There are valuable lessons for kids in this book, but they are hidden in the sandwich. I for one hope that we get more of Annie’s story, because she is just such a fun and perfectly imperfect character. This book is sweet and funny and clever and very well written and I highly recommend it! Plus, if you visit Janet’s website, you get a bonus story and the PB&J rules! 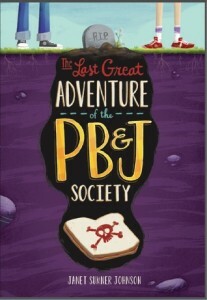 The Last Great Adventure of the PB&J Society comes out April 1st! Wendy, I’m crying! Thank you for such a wonderful review!!! I loved the book so much!!! barb – another fun one!